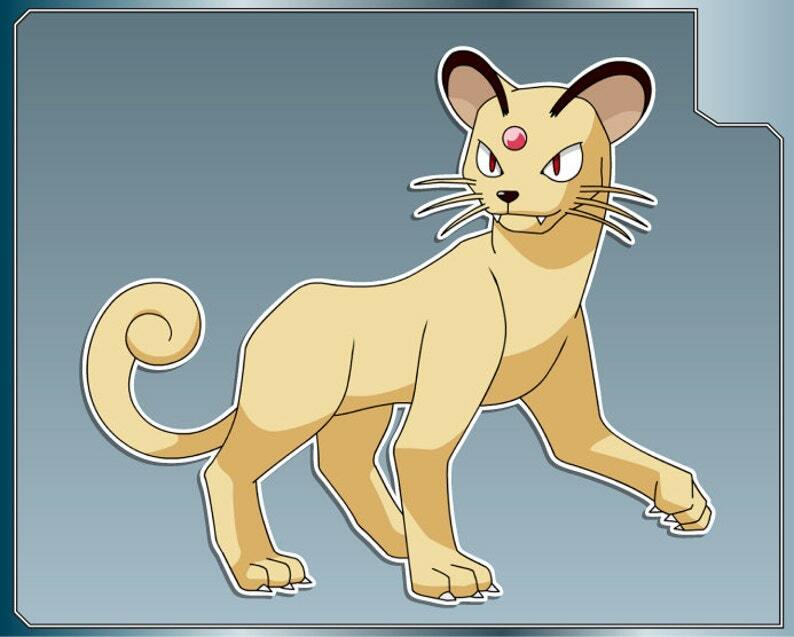 PERSIAN from Pokemon vinyl decal sticker. This beautifully die-cut vinyl decal is weather proof and can be used on any smooth surface. Great for cars, trucks, boats, laptops and more. Decal size measured by longest dimension unless otherwise noted. POKEBALL No. 2 from Pokemon Vinyl Decal Anime Sticker for Almost Anything! OSHAWOTT from Pokemon Vinyl Decal Anime Sticker for just about anything! ULTRA BALL No. 1 from Pokemon Vinyl Decal Anime Pokeball Sticker for Almost Anything! I love this decal and can't wait to stick it somewhere! BOWSER vinyl decal No. 1 from Super Mario Bros. Paper Mario Sticker for almost anything! Prompt, easy to work with...and a great image of Iggy! IGGY KOOPA Cartoon vinyl decal from Super Mario Bros. Sticker for almost anything! VIVI vinyl decal No. 1 from Final Fantasy FFIX Sticker for almost anything!